RTÉ PRESENTER BUNNY Carr has died at the age of 91. The television personality presented a number of shows on the national broadcaster including Quicksilver, Going Strong and The Politicians. He left RTÉ in the 70s to take up a role as Director of the Catholic Communications Centre. His job there included duties such as teaching priests how to deal with the media. Bunny then went on to set up his own PR firm, Carr Communications, a firm still operating today. The show Quicksilver, which Carr was probably best known for, popularised the phrase ‘stop the lights’. 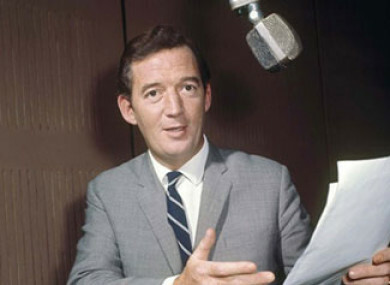 Many in RTÉ and the media have this morning been paying tribute to the popular presenter. Email “RTÉ presenter Bunny Carr dies aged 91”. Feedback on “RTÉ presenter Bunny Carr dies aged 91”.